Béchamel Sauce – white sauce made with milk and flavored with onions. The most famous variation is a Mornay Sauce (CHEESE! ), but a béchamel is the basis for many cream sauces and fillings (such as in pot pies). Espagnole (Spanish) Sauce – brown sauce made with brown stock, caramelized mirepoix, tomato paste, and seasoning. Some familiar variations include Madeira Sauce (with Madeira wine), Bordelaise Sauce (with red wine reduction), Poivrade Sauce (with peppercorn and butter), and Demi-Glace. Velouté Sauce – a white stock sauce (slightly transparent, compared to a Béchamel). 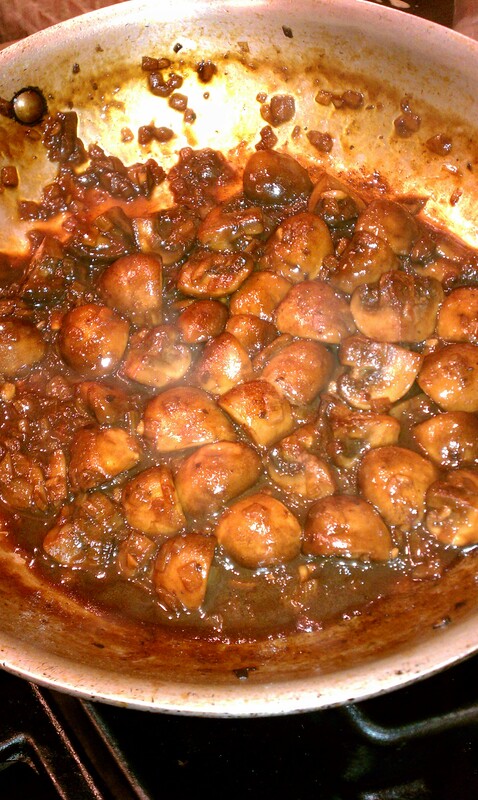 Familiar variations include Supreme Sauce (with cream) and Allemande Sauce (mushrooms and veal). 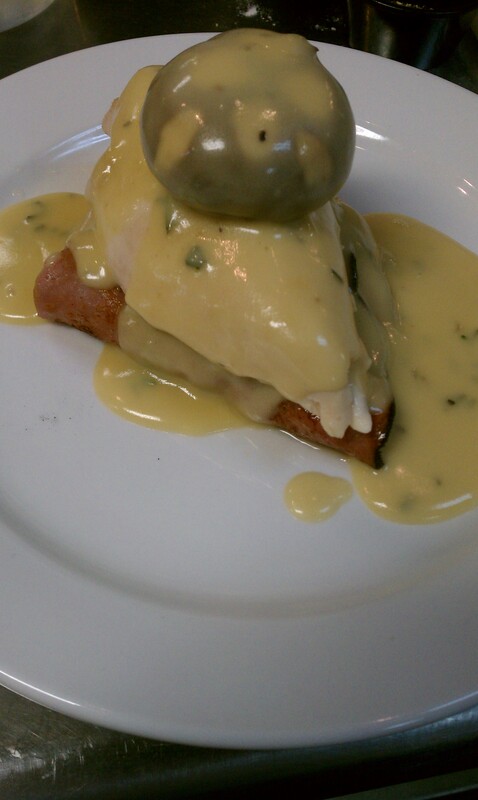 Hollandaise Sauce – an emulsion sauce made with a vinegar reduction, egg yolks, clarified butter, and lemon juice. Variations include a Béarnaise Sauce (tarragon, white wine, and peppercorns). Tomato Sauce – just what it sounds like. The difference is this sauce is a much sweeter tomato sauce than an Italian-style sauce. It was spectacular. We learned how to make white, blonde, and brown roux from flour and butter. A roux is equal parts flour and fat, cooked and used to thicken sauces. The difference is mere minutes of cooking time, and thus color. The longer you cook it (and the darker the roux), the less it will thicken your dish. Between all four cooking teams, we made 1-2 batches of each sauce, and served them over various dishes. The Tomato Sauce flavored orzo (and was amazing). The Béchamel became Mornay sauce, and was the basis for our baked macaroni and cheese. The Velouté and Espagnole were served over roasted chicken. I made the Espagnole, and it was very good, but I loved the Velouté made by another team, which was flavored with mushrooms. I could not get enough of that one. The Hollandaise was served over asparagus. My Hollandaise didn’t emulsify very well, and so it wasn’t shiny and thick. But it tasted fine. I really don’t care for it anyhow, so the good news is I can leave this off of my list of things to master. This may have been one of the best food nights. I overate, to say the least. I was so busy eating, I didn’t take a single picture. Oops. Searing, roasting, broiling, grilling! This was a very busy class with some spectacular recipes. We learned to sear meat properly (more on that below), the different methods of roasting and their benefits and drawbacks, the importance of resting foods after cooking, and many other things. Honestly, we’re beginning to cover so much ground in class that it is hard to recap it here. So I’ll limit this to the tips you can apply now, and of course, the recipes and food! *Don’t Boil Your Beef! If you crowd food into your pan to “sear”, the surface of your meat doesn’t heat fast enough, thus drawing the moisture out and simply “boiling” your meat. Tasty, huh? The fix — let your pan get very hot (you can always turn the heat down or pull the pan off the heat) and then give your food some space. You’ll get a lovely sear that will seal your flavor and juices in, and look just plain pretty. You may need to sear food in batches, depending on the size of your pan. A good set of tongs comes in handy here. *Sear the pretty side of your meat first, then serve that side face-up. The second side will never sear as nicely. *Roast your entire dish. When roasting, always elevate your food with a rack so the bottom of your meat roasts as well, and doesn’t just boil or steam. *Try vertical roasting. This is the most effective method for roasting any kind of poultry. In conventional roasting, the breast meat tends to overcook, while the thigh and leg meat are still cooking. But purchasing an inexpensive vertical riser (or even a beer can chicken roaster), you can help even out the cooking process for all parts of the dear birdie. Speaking of beer can chicken — if you don’t like beer, try sodas or any kind of juice. A fun suggestion was cola for a bird that has been rubbed in jerk seasoning. *Dry out your duck. In order for duck to roast properly and not to have a “fatty” taste, the fat needs to render out while roasting. This can be helped out significantly by drying your duck prior to roasting. Simply place the little guy on a rack inside a sheetpan or on a vertical riser on a plate, UNDER REFRIGERATION and dry uncovered for 24-48 hours. The air drying opens the pores, which will help the fat render. Here’s another neat idea — instead of tying up the legs, cut a small slit in one leg between the tendon and the bone, and slip the other leg through. *Create chicken (or pork or turkey) paillards in advance for easy weeknight meals. Simply wrap a chicken breast in plastic wrap and use the flat side of a mallet to flatten them in a brisk, outward motion. You may find it useful to butterfly the head of the chicken breast half (the really thick part) first. Do a bunch some evening when you’re feeling a tad cranky, and kill two birds with one stone. 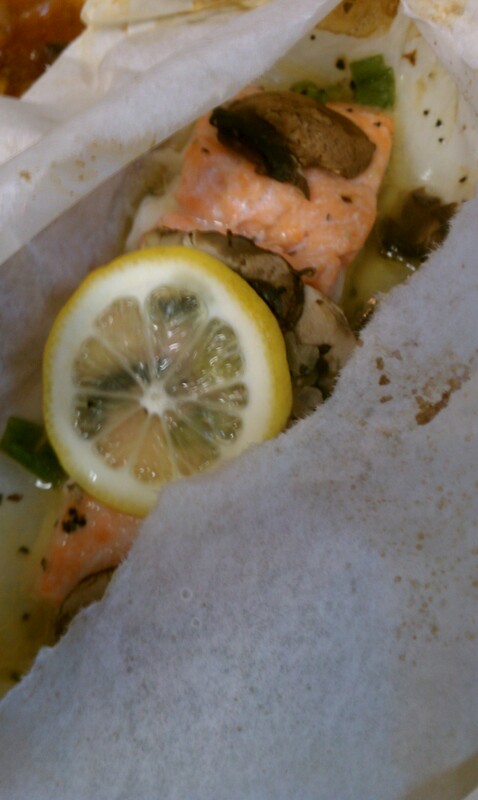 Freeze them in packets of 2 or so, separated by wax paper, and you’ll be able to break them out for dinner in a hurry. Once thawed, these thin cutlets cook very quickly (2-3 minutes or less per side) and look elegant. *Stop overcooking your meat! No one wants food poisoning, but the USDA recently revised their guidelines for safe temperatures for different types of meat. Chances are, your meat thermometer may be old and wrong. For example, pork is now listed as safe at 160 degrees. The trick is to stop cooking just before the meat reaches that internal temperature, tent it and let it rest (see next comment), and the temperature will continue to rise while it rests (carry-over cooking). *Let your meat rest, or you’re wasting your time. Resting your food after any style of cooking will redistribute the juices in the meat and relax the meat fibers, meaning a juicier and more tender product. When meat is cooked over high heat, the meat fibers tighten and force the juices into the center, so you need to allow time for this process to reverse. Be sure to tent your food loosely with tin foil to keep in some heat. Small foods only need rest about 5 minutes. Larger cuts should rest 10 to 15 minutes. 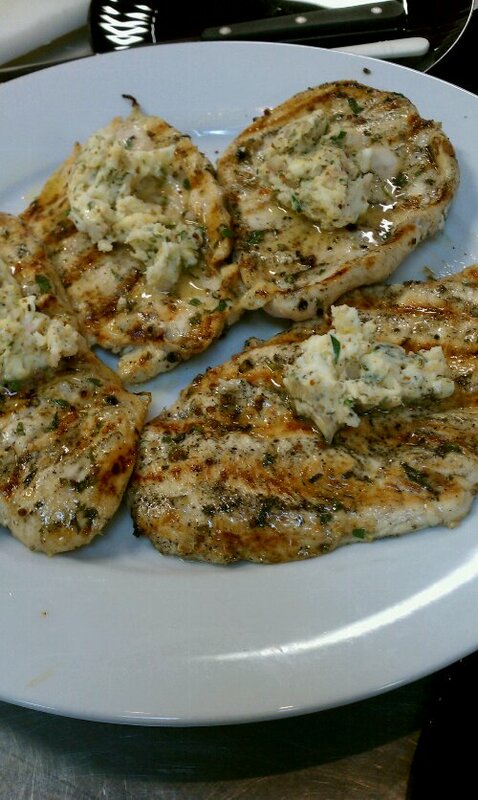 Pan-Grilled Chicken Paillard with Tarragon Butter – This was absolutely amazing, due in large part to the tarragon butter, flavored with shallots, mustard, and Ancho chili powder. 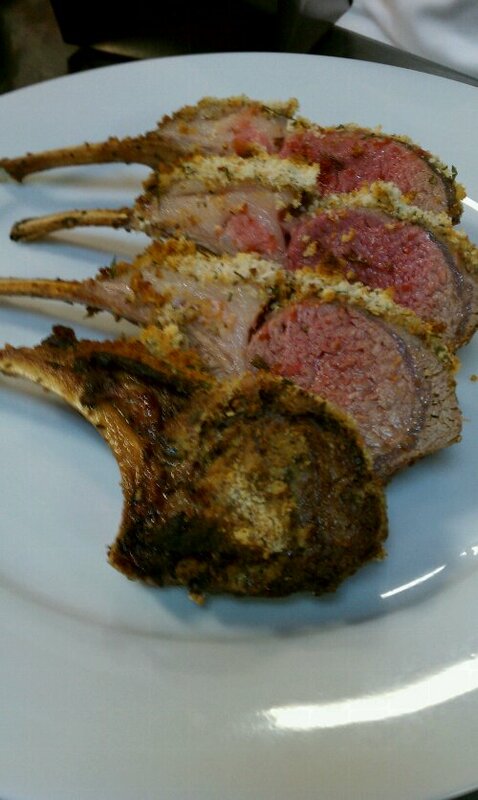 Seared and Roasted Lamb Racks – seasoned simply with Dijon and breadcrumbs. The lamb picture above is a great example of why meat needs to rest. In the interests of time, Chef used our team’s lamb rack to slice and plate for presentation, before the meat had rested. You can see that it appears to be cooked unevenly, and could have used a little time taking a wee nap on our table. 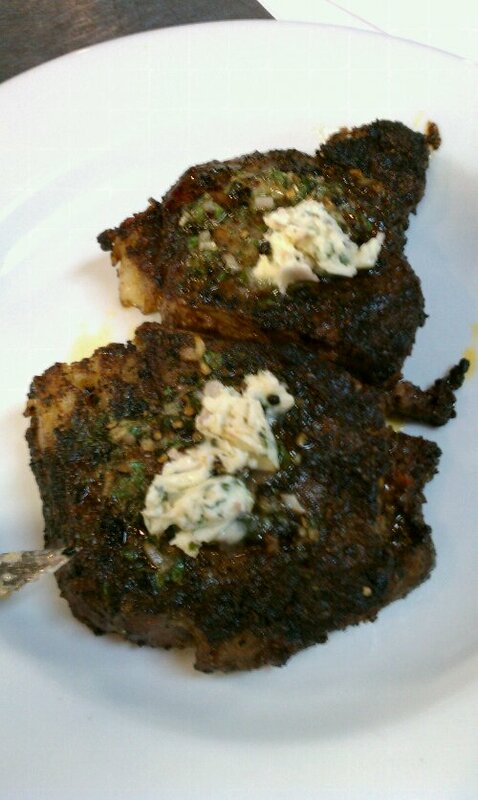 Grilled Garlic & Chili Rubbed Rib-Eye with Béarnaise Butter – Oh. My. Stars. this was amazing. We used a heavy hand with the rub and thought it was perfect. And the compound butter added another perfect layer of flavor. Dry-Roasted Whole Duck – I didn’t get a picture of this but it came out really crispy and lovely. This was my first taste of duck and it was good, but I’ve got to say it seemed like alot of work for a very small amount of meat. After enjoying the night’s dishes, I vowed never to eat another dish if it didn’t have both a rub/marinade AND a compound butter. Dairy is essential to strong bones, you know. I’ve wanted to visit Grünauer since I cracked open an issue Kansas City Spaces magazine last year and read about the authentic Austrian and German restaurant opening in the historic Freight House. The Freight House is a lovely backdrop for any restaurant, and the items I saw browsing the online menu all sounded appealing. Brandon and I had an impromptu opportunity for a quiet lunch date and this was an easy choice. A diligent point gatherer, he quickly made an Open Table reservation and we met inside. You can’t beat a menu that offers a wide selection of sausages, in addition to items like weiner schnitzel, pork and noodle hash, and a savory Austrian dip sandwich. We read over the menu and chatted with our fantastic server before settling on the Austrian Dip and the KÄsekrainer sausages (pork with cheddar cheese). I was grateful that at Grünauer, I was able to order something strikingly similar to a cheese hot dog and still sound like a foodie. Upon the lightning-quick delivery of our meal, I was reassured that this was no hot dog. Two beautifully grilled sausage links, a buttery pile of mashed potatoes, sweet red cabbage, and dipping cups of apple horseradish and Dijon mustard. It looked perfect and tasted even better. The sausage was amazing in both sauces. The cabbage was good and the potatoes were fine. I am not a mashed potato person anyhow, and was lucky enough to be offered tasty fries of Brandon’s plate, which allowed me to ingest more of each sauce. His sandwich was tender and flavorful, and the au jus was just right. And again, those fries were great. I apologize that there is no picture of my entree. I was so excited, I just plain ate it. We “saved room for dessert” and ordered the Demel Viennese Apple Strudel without even examining the dessert menu. Our server said the Old Fashioned Warm Cheese Strudel was his favorite, but it was too late to turn back. We had seen a picture of the apple strudel in all its flaky glory on the website and knew it was how our meal would end. By this time, I was feeling a little full so I ordered coffee to help it all fit in my stomach. The Julius Meinl coffee service was elegant and the coffee strong and smooth. Dessert looked almost as lovely as the tempting picture on the website and was delicate and delicious, although not as flaky as I had anticipated. I loved the golden raisins cooked in with the apples. Like a good movie, I keep thinking about my meal. I’m even doing a compound butter for my cooking class this week inspired by that lunch. 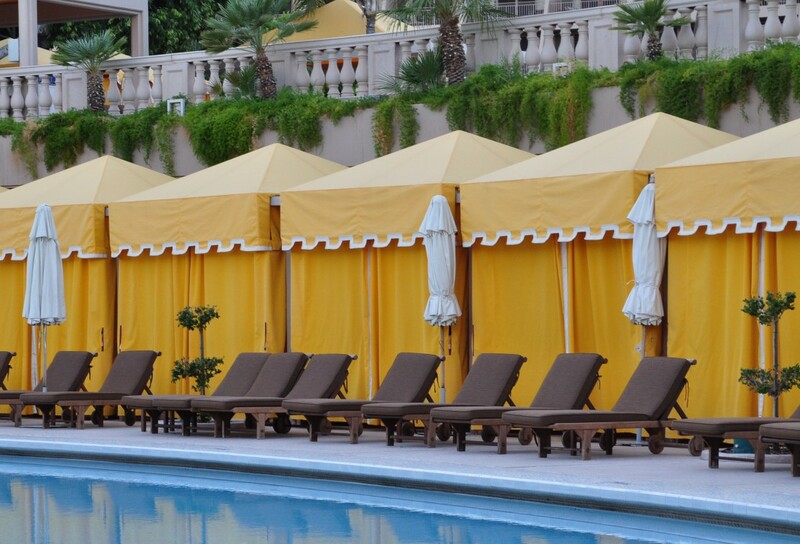 With such great flavors and service, I am anxious to return! This post is coming a little late. It is not week 5. It’s not even week 6. It’s week 7. Can you tell things have been a little busy? Class 5 was really interesting, and the food we made was fantastic, but the best part of that evening was cooking with my team, and realizing that I am not alone in the world when I stand next to the stove and repeat variations of “This smells SO good!” I do this at home, both when I cook (often when I have onions sauteeing or celery cooking) and when I eat (“This is so pretty. Look. This tastes UH-MAAAA-ZING — you have to try it!” Blah. Blah. Blah.). So there I was, standing next to a saute pan sizzling with shallots and butter for Aromatic Citrus Herb Butter, and my teammate said just what I was thinking — “That smells so good!!! !” The same thing happened later in the evening when the sauce for our Braised Savory Swiss Steak was sauteeing, and all four of us are just standing there, smelling the onions, garlic, and celery and talking about it. I am surrounded by like-minded individuals for sure. During the evening, we discussed and practiced six moist heat cooking techniques — steaming, cooking ‘en papillote’, shallow poaching, poaching, simmering, braising, and stewing. *To quick steam asparagus, pour a small amount of water into a saute pan and bring to a boil. Once boiling, pour off excess water so asparagus will be covered only 3/4 of the way up, and place asparagus spears into pan. Yes, you can “mound” them if you are cooking a larger batch, just keep them moving around. Cook uncovered to taste (probably just a few minutes if you prefer your asparagus al dente). *If you care to create “lighter” versions of sauces that call for heavy cream, replace the cream with Greek yogurt or sour cream. Do not replace the cream with milk, as most often it won’t cook properly. Oops…I am guilty of this. *If you are poaching chicken (cooking chicken submerged in liquid around 180-185 degrees), you will have better results of you cook chicken breasts on the rib bone. Boneless, skinless chicken breasts will cook too quickly and become tough (yep…this happens to me everytime) but bone is a poor conductor of heat and will allow the chicken to cook more evenly. And it is VERY easy to remove the breast half from the bone — while the meat is still hot or warm, simple tear the “head” (larger portion) of the breast downward. And guess what — chicken is cheaper this way anyhow. *Be careful using basil and tarragon in recipes cooked over heat — both are fragile and will blacken easily. 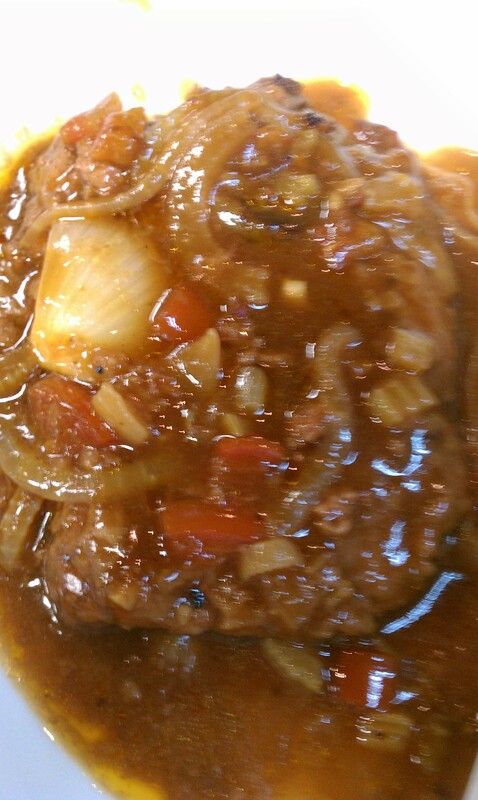 *Be careful when buying “cube steak” at your grocer to make Swiss steak. The cube steak should be made with round steak and not ground beef. Ground beef will fall apart when braised. After much ado, I have purchased a Bialetti Aeternum saute pan. 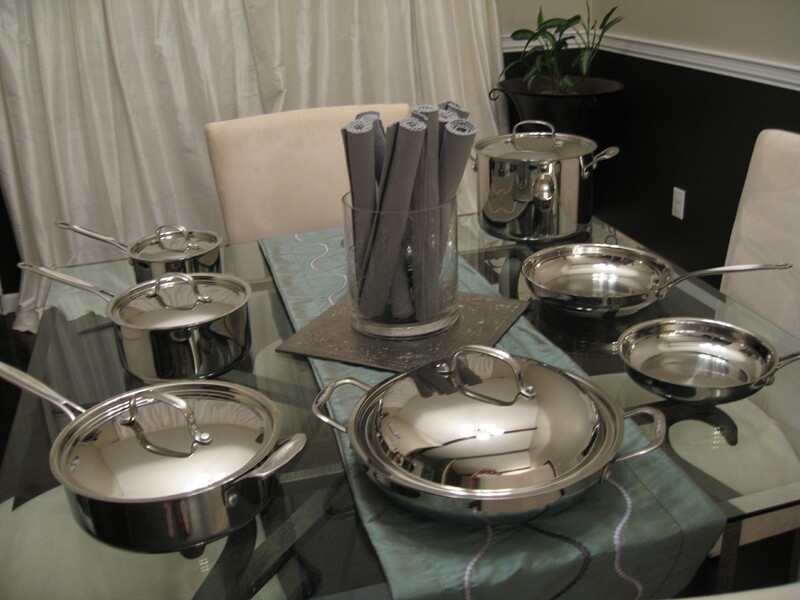 Three years ago, I received stainless steel cookware from my parents as a gift. I had debated whether I wanted non-stick cookware or stainless steel, and opted for the stainless primarily out of health concern about the materials used to create a non-stick coating. The stainless steel set is more difficult to use, and has required alot of adjustment to my cooking, but I love it. And they are so pretty. I retained a small non-stick saute pan for grilled cheese sandwiches and omelets. The non-stick finish had begun to peel and I debated whether and how to replace it. About the same time, Food and Wine Magazine profiled the Aeternum line from Italian company Bialetti, with a ceramic non-stick finish. I was excited. Once I saw how affordable they were ($20 for the 8″ saute pan, $30 for the 10″, etc. ), I was ecstatic. And then I realized that every outlet was sold out of the small saute pan. I guess all the other subscribers read their magazine and got online before I did, and I silently vowed to read each new issue at the mailbox. I ordered the pan from three different outlets and either had my order cancelled or delayed repeatedly. One order was delayed for four months and I finally gave up and cancelled it myself. But the pans are now back in stock, and I found one at my local Bed, Bath, and Beyond. And being me, I used a $5 off coupon, making the pan $15. After three uses, I think it’s totally worth the $20 (or $15). My first attempt was an omelet for Baby…and I actually even tossed it in the pan. I was so excited, I squealed and Emory clapped her hands and laughed. So much fun — assuming you’re into that type of thing. Yesterday for lunch, I made scrambled eggs for Baby yesterday and an Thyme and Mozzarella Omelet for myself and danced around all over again. 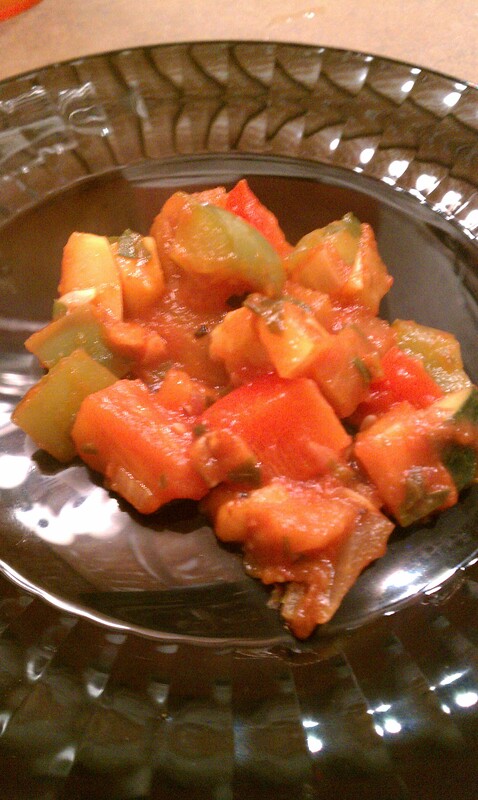 And for dinner, we sauteed zucchini. Food cooks perfectly in it, and looks beautiful against its white ceramic coating. Like a non-stick pan, it needs seasoned (rubbed with an oiled paper towel) periodically when it is dry but warm, and it does require some oil or pan coat. It cleans very easily, particularly because the handle is attached without rivets inside the pan. 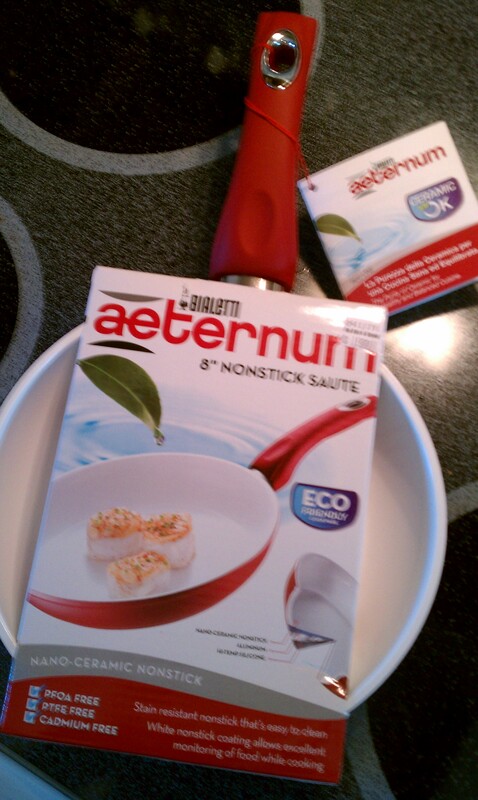 They certainly wouldn’t replace my stainless set for my other cooking needs, but I may purchase the larger Aeternum saute pans at some point. I love my new pan! Update (August 2011): My cousin Tracy was debating purchasing the same pans, and read a review where the Pan Owner had experienced “pitting” in the ceramic non-stick coating of her pan. Tracy contacted me to see if I had experienced the same. I inspected both of my pans (I own the 10-inch pan now) and found some minor pitting (perfect, tiny circles) on the 8-inch saute. So for fun, I reached out to the company’s customer service department and indicated my pan appeared to have a manufacturing defect. (It isn’t chipping away or peeling or anything that appeared to be from use.) They asked for a picture of the defects (easy enough), and after I sent them, shipped me a free replacement within a few weeks. So the bad news, is there can be potential problems with these pans (although my 10-inch saute is still in perfect condition), but the good is that their customer service department is attentive and empowered to make things right. 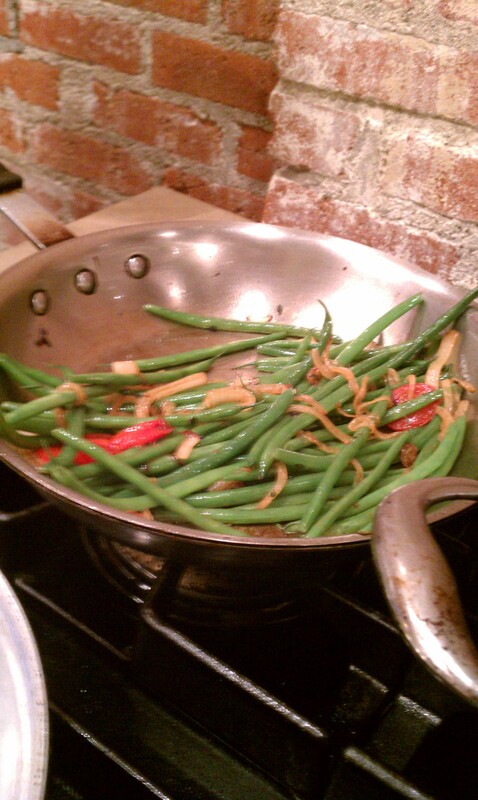 It has been over one week since our vegetables class and I still want more of the Drunken Mushrooms dish we made! Vegetable class was actually one of my favorite so far, in part because I really do like vegetables. (My Mom is so proud right now….) As always, we ate what we cooked. All that came home with me was a tiny box of ratatouille. Baby liked that. We discussed classification of different types of vegetables, cooking methods for vegetables, and the best ways to prepare each based on its classification and color. I’ll spare you the veggie details, and instead just post the stunning photos of our work, and my aha moments. Everything we prepared (as usual) is the classic French method, with the exception of the Sprite we threw into our carrots. 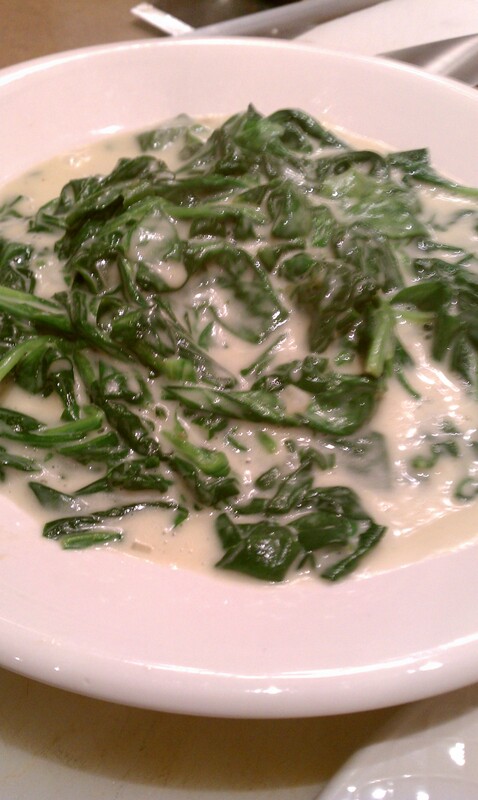 The creamed spinach was a particular treat, since “creamed spinach” served in restaurants is often just wilted spinach with bechamel on top. The word on the street is that Julia Child loved this spinach version, with just a touch of nutmeg, and ordered it when visiting Plaza III (not the KC location…I’ll have to ask Chef for a refresher on that story). 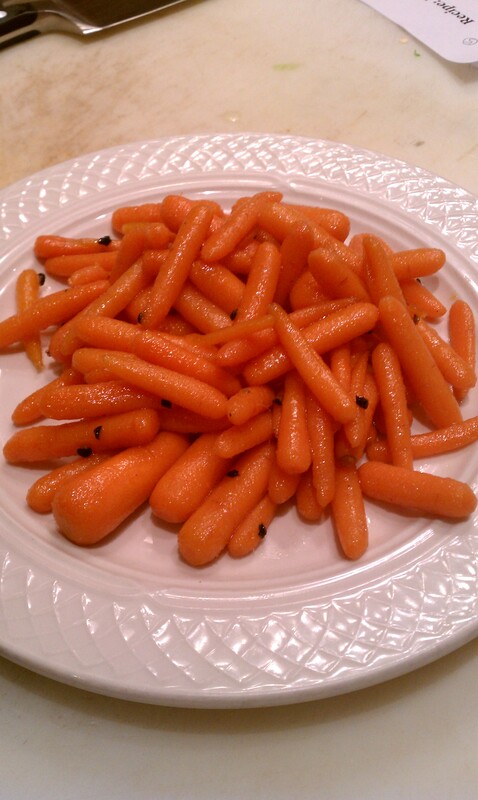 My favorite dish was the mushrooms, followed closely by the carrots. *Adding salt at the beginning of cooking drains vegetables of their juices, and thus some of their nutrients. This also happens with canned vegetables. As Chef Richard put it, to get the most nutrients out canned vegetables, “throw away the vegetables and drink the water.” I don’t like canned anyway…fresh or frozen for me! *Don’t cover green vegetables when you cook them. Just like the result when you overcook them, they will go from Those Look Fantastic Green to If You Make Me Eat That I’ll Throw Up Green. 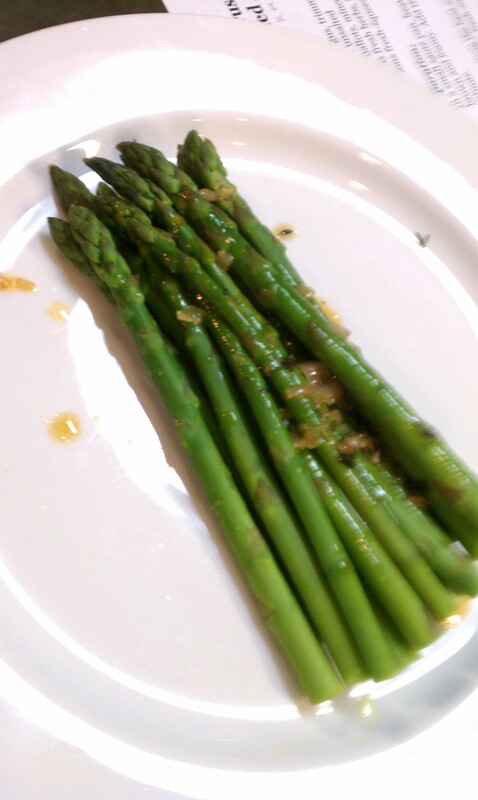 *I know that to prepare asparagus, you bend the stalk and let it snap where it may to remove the tougher, woodier end. But Chef suggested we bend one, then use it as a guide to chop the rest. He just saved me ten minutes every time I prep asparagus. *Blanching green veggies really is worth it…both for looks and flavor. To blanche green beans, for example, add them to boiling water just a minute or two until the green color is bright and consistent across the bean. Then remove to an ice bath to stop the cooking, or they will lose the color. *Unless you are simply trying to support organic farms in general, buy organic produce only when you plan on consuming the outside of the produce. *Although many chefs say to simply brush your mushrooms off with a dry paper towel, Chef says go ahead and wash your fresh mushrooms and let them dry on a towel stem-side down. Don’t let them soak or you will waterlog the poor little guys.